← Blue and Green Chickens. Really. 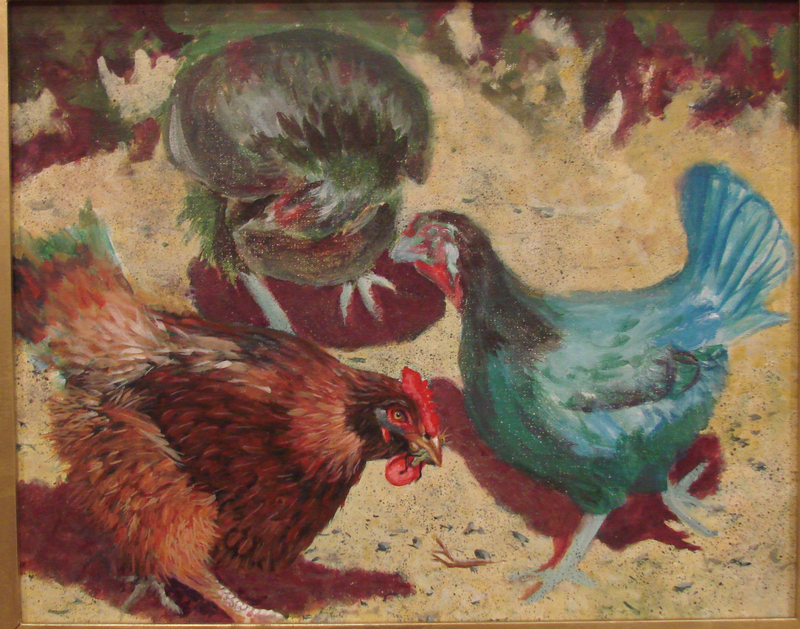 I finished the layout and under-painting on the chickens, and started with the foreground dirt and the chicken on the left. That one is a Rhode Island Red. I put a grasshopper in his beak as a neat detail. I am trying to get the soft, fluffy look of the feathers, and some action in the placement of the birds. Look at the tail of this bird, and you can see how I added successive strokes of color on top of the blue/green under-painting, gradually building up the mass of the feathers. This area still needs some color and shadow adjustments to finish it off. These were very lively birds and I needed to use the “action” setting on the digital camera when taking a long shot. I also got some great close-up photos, and want to do a portrait of one of the birds next. I’ll add another photo when the second chicken is complete. Stay tuned. 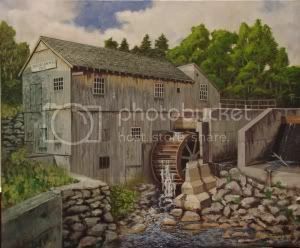 This entry was posted in Painting Process, Paintings and tagged Art, Chicken, paintings. Bookmark the permalink. Oh, wonderful! I love chickens.